hd00:25Clear blue sky, white clouds time lapse, nature fluffy, puffy soft cloudscape after rain, nice summer day, beautiful weather, realxing time. hd00:25Time lapse rolling clouds, fast motion in horizon after rain time, nature fantastic view. Fluffy, puffy moving cloudscape in very nice panorama. hd00:20Clear blue sunny lightness skies, white angri big clouds rolling in horizon panorama, exotic very nice footage, Full HD. 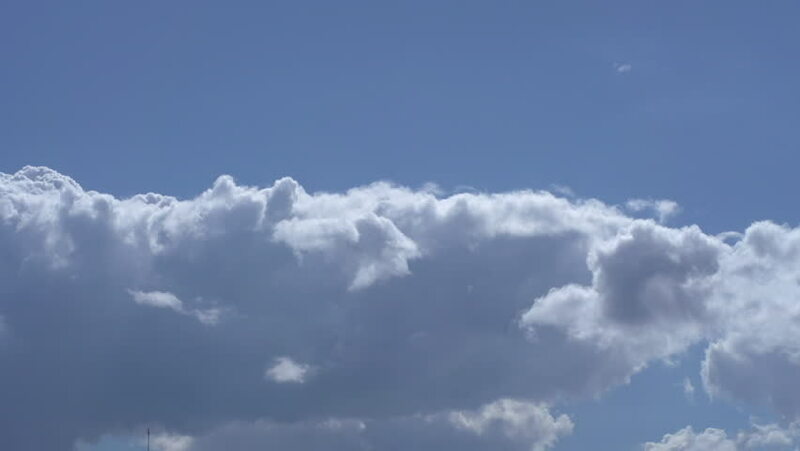 hd00:16Time lapse white fluffy clouds & clean blue sky, aerial view sunny weather in horizon. Flight over clouds, loop-able, cloudscape, day, Full HD, 1920x1080, White clouds running over blue sky. FHD.